are things my mother said. it was things my mother said. I think my mother said. All the things her grandma had said. Folklore and folk magic are steeped into the spiritual sensibilities of Americans regardless of their denomination and faith. It has always been part of the narrative of our history, it has bonded together communities and defined regions. It is more than the haunts and urban legends; I'm talking about the magic that was born when the Old World, Motherland and New World met, where the traditions of magic- and witchcraft- of the Americas was born. Depending on where you are and who you live among in the states, you may have absorbed more magic into your life than you ever credited. For some American witches, folk-magic has been part of their life, their families and is only recently becoming acceptably associated with witchcraft itself. And for many American witches, the New Age movement is not where they draw the sources of their practice from; but rather from the folk magical traditions that developed right here at home by our ancestors, and often these traditions of magic represent the synrectic nature of witchcraft in the New World. Morgan’s post on Reconstruction of Early Witchcraft Resources got me thinking, got me writing. I feel like it’s where witchcraft is headed right now. We are headed away from the New Age of witchcraft and into the Reconstruction and Traditionalism era, where more witches are foregoing the contemporary and reach back towards history. Many witches are beginning to find themselves drawn towards their ancestors again, back towards animistic spirituality and in doing so are also rediscovering the inherent folk-magic many of us have lived with our whole lives. We are studying the folklore and oral traditions we’ve become familiar with and following those threads back to their furthest sources, and from those sources we draw the outline of our modern practices. That’s not to say there’s anything wrong with New Age witchcraft or the neo-witch movement, I respect it all. But my interest lies in the transmission of traditional witchcraft from around the world as it manifests in the Americas. I feel a personal investment in the preservation of folk magic and witchcraft lore in general because of my mixed raced, folk religious upbringing here in the states; where observing veneration of the dead and land- the pillars of my faith today, had a deeply cultural, and deeply spiritual meaning. To this day, I'm still practicing the charms my mom, my tias, my grandma taught me; from pennies over my door to lucky clovers, spirit-plates and careful words, smudging and prayers and the rule about ill-speaking the dead. It was all medicine and spirituality, and it was undeniably magic; and while they weren't all witches, it did form traditions for us that stand to this day. A lot of American families have been touched by folk magic, but my upbringing was culturally complicated and very influenced by the folk faiths of those around me. For American witches, this is becoming of deeper importance: we are finally embracing our syncretic heritage and the folklore and “superstitions” and customs it has wrought here in simple and complex forms. Given the difficulties many here face of feeling set-apart from a particular culture of their ancestry, we are no longer feeling as displaced from our sources while trying to forge ahead with this new culture we’ve made from the best and worst of all cultures we've encountered. This is because wherever you go in America, there is the folklore of those who lived there and the legends and "superstitions" they left behind which are still ingrained into our ever evolving culture. And where there is folklore, there is always, inevitably, witchcraft. We are starting to embrace the idea that the New World has its own traditions of witchcraft, ones that have their own folklore, history, charms and rituals and nearly all of them are descended from two or more cultural-spiritual elements combining into new traditions of magical practices specific to the Americas. The Old World. The Motherland. The New World. Together, they have created mythologies and regional mystical and spiritual systems that reflect the intrinsic, beautiful, tormented diversity of the New World. And in this place, something altogether new was made, and I think it’s high time we call it what it is; traditional American witchcraft. This witchcraft is descended from the extensive folklore found in the major regions of the States which has shaped local and national perceptions of magic and witchcraft itself. Traditional American witchcraft in New England is most commonly known as Salem Witchcraft, and most Americans become well acquainted with witchcraft lore itself through the legends of the Salem trials. While heavily Christianized traditionally, many witches in this region have embraced the pagan and Christian aspects of colonial witchcraft folklore and it's easy to find long standing traditions of magic celebrated in Salem itself. Today, the witches of Salem often reflect the exact image of the witch that the early settlers ingrained into American folklore through their widely reported trials. The folklore that influenced the perception of witchcraft in New England was a byproduct of English, German, Dutch, Irish and French settlers primarily and reflected the lore of the witch as she appeared throughout Western Europe- a diabolic being with powers of foreknowledge and in congress with familiars who do their bidding. It was also strongly influenced by their perceptions of African and Indigenous spiruitualties which they saw as devilish and occult. The witch in New England became known as the black-cat loving, pumpkin-patch haunting night-flier we as Americans recognize today. All of this because the superstitions of witchcraft in New England reflected how different European peoples perceived the mystical world around them. As we move inland, Mid-Westerners have their own extensive folklore regarding witchery in German settled territories like Pennsylvania. Entire manuals on how witchcraft was viewed and dealt with, were published about these territories and it is the birthplace of the all-American folkmagical tradition of the braucher and other German-colonial folk magicians, some of whom are witches. Aside from that, the Voodoo of New Orleans, which is not inherently witchcraft, also wound up impacting the American idea of the practitioner and has bred an entirely new generation of Afro-Diasporic religious interest. This has led to the rising popularity of L.A voodoo, rootwork, conjure, obeah and other rural folk magical traditions found throughout the American South and Southeast, which only exist as they are due to syncreticism. Hoodoo, much like brujeria in the Southwest and New York and other black/Latinx/mixed-raced epicenters is becoming really popular now, representing a return of African spirituality while maintaining a link to ones additional or surrounding culture. Some of it is pure eclecticism from an Afro-diasporic perspective, and some of it is just folkloric magic based on early America’s convergence of African, Indigenous and European religion, stories and superstitions. Thanks to the works of beloved African American folklorists like Zora Neale Hurston, we have access to some of the earliest vestiges of Afro-diasporic folklore in the Americas. The Northeast feared witches for dancing with the devil, the Southerners feared the same. The witch in America even among Indigenous peoples in the Southwest, Southeast and Northwest, was regarded as a fearsome creature with specific gifts, just as the Old World regarded witches; their identifying gifts being that of conjury of spirits, poisoning of victims by plants, objects or by evil intent, knowledge of herbs medicinally and magically, abilities to change shape or fly at night to dance with great spirits, capable of great good or evil. “The tradition among the Zuni crediting witches with dissemination of both good and evil suggests the Old World differentiation between white and black magic.”- Marc Simmons, Witchcraft in the Southwest: Spanish and Indian Supernaturalism on the Rio Grande. For some tribes in the Southwest, notably the Navajo, witchcraft involvement was a serious offence but could also lend prestige and mystery; a certain air of respect to a lower class person looking to move up socially in even a somewhat negative regard. The concept of "good" and "bad" witches supersedes the idea of witchcraft as an inherent negative, and was present on American soil long before colonization. The Pueblo, Spanish, English, West Africans- they all had witches, and the witch always had at least those things in common, and it made them identifiable cross-culturally. In the Ozarks and Appalachia, in swamps and bayous, there is folk magic and even fully formed traditions of magic to be found, and wherever there is talk of magic, there is talk of witches- for better or worse. These areas had famed witches and witch trials and hunts, there was real magic practiced and real witchcraft spreading, and as the lore of the American witch spread, our traditions around the idea became something unique. The most fascinating aspect to all of this regional witchcraft and its racial history is the fact that each of these regions share deep commonalities in their folk magic and witchlore: apotropaic charms, lucky amulets, agrarian charms and wives tales, amulets and talismans of protection and health, healing prayers, jinxes, haunted/spirited heirlooms, love magic charms, nightmare and dream charms, divination and acts of exorcism are all defined as practices that can define witchcraft itself, and that’s exactly what you can find everywhere in American regional folklore- magic most don’t even know is magic. Charms, amulets, rituals and beliefs common to the folklore of different American regions vary but are wonderfully similar throughout the country and are shaped primarily by the majority ethnic populations that settled and their history. Traditions of magic in America, like all others in the world, have their own sets of values and taboos regarding almost all facets of life. The folklore of the South; notably Tennessee, North Carolina, Louisiana, Virginia and Florida have some of THE most fascinating and well documented folkloric customs that permeate the cultures there, of every color. Some pockets of the American South were very insular and deeply rooted in traditions brought over from the Old World. Southern lore in Tennessee alone varies in roots and is the basis for most of the charms, rituals, taboos and jinxes that are commonplace throughout the country. 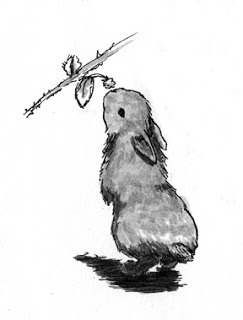 Some American folklore is cute, modern, and based in the newness of the land. Other veins of American folklore is descended from the spiritual beliefs and "superstitions" of the Africans, Europeans and Native Americans; popular to their culture. Below are all common and in many cases culturally ingrained charms from American folklore that you can find in these regions. This of course is just a generalization of the major populations at the time in the area who would have disseminated this lore into American culture at large. It is based on where I’ve been able to trace folk magic within the States through historical literature and books of American folklore. We already have so much here to build our traditions from, so much to reconstruct and trace back, why do we so often skip our own culture in favor of embracing distant ones? Why not both? Why not appreciate and be knowledgeable of the ways of your ancestors wherever they came from by embracing what they brought and left behind right here, all around you? I’m not interested in being someone else’s idea of a witch or arguing the legitimacy of traditional forms of American witchcraft practices; only my own. The sources I draw much of my work from already exist right here, and that folklore is my way of connecting to my ancestors in the way that they intended when they came here and got to mixing. Do New World Witches need to do more to embrace traditional witchcraft through the vast folklore in America? I think so. I think it is absolutely necessary for witches who pursue the traditional or reconstructive roads to know the origin and context of their practices, I also think it’s incredibly important to celebrate the fact that so much folklore, legend, rituals, charms and taboos have shaped the "superstitions" and spiritualities of all Americans of different backgrounds and we need to account for how much environment plays a role on spirituality. All of these aspects of folk magic/religious practice aren't just innocuous gestures, they are also defining practices of the witch (for those pursuing that craft). Just as Jules Michelet speculated in his works on traditional witchcraft in Europe, all of these were the defining traits of one who practices witchery in many Indigenous faiths as well- notably those of the Zuni, Pueblo, Coastal Salish, Seminole and others; as well as being a common motif in most West African spiritualities that came to the Americas. Its one thing to practice these magical arts in congruence with ones Christian faith which is the more usual affair, but to do so in a purely pagan way, calling to old gods through their old practices reborn, that is becoming the new normal and is an expression of the move towards traditional practices. Is there such a thing as traditional forms of American witchcraft? Traditional witchcraft has three definitions that I’ve come across and there is a big difference between being a witch and a traditional witch. The Watkins Dictionary of Magic defines traditional witchcraft as; "regarded by most authorities as a folk religion that blended with superstition, fortune telling, folklore, and herbalism with remnants of various pre-Christian religion beliefs (e.g Celts and Druids)." 1. The reconstructed practices of magic originating from Pre and Post Christian Western Europe as well as those traditions formed by Mystery cults in Europe. British Traditional Witchcraft is the most recognisable tradition within this definition. 2. A magical practice that traces its roots before New Age Occultism (e.g Wicca); based on the practices of magical or mystical faiths of various cultures before the influence of the New Age Movement. 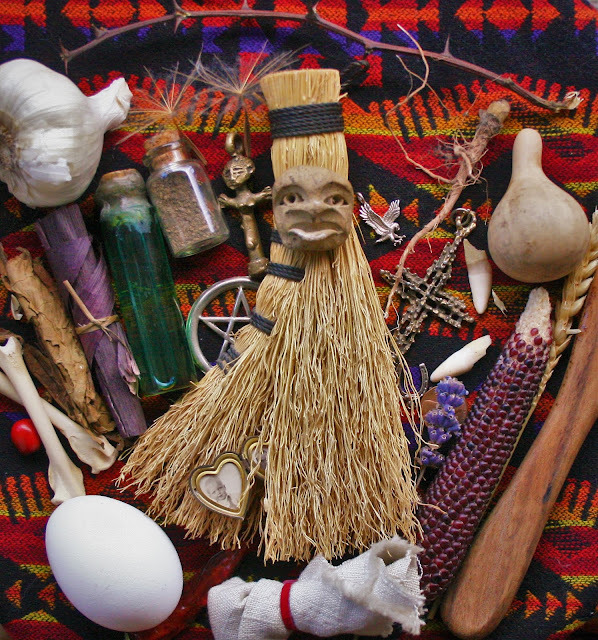 These traditional forms of magical practice and mysticism- some of which is witchcraft can include; Stregheria, curanderismo, conjure, (some) hoodoo, rootwork and brujeria and various other magical practices that reflect the cultures from which they came. These practices may also not always be considered witchcraft. 3. Family tradition witchcraft; a magical system of beliefs which has been passed on through a family for more than two generations. This type of traditional witch is rare, though it has become increasingly more common in the last 100 years to find witches or magicians or charmers who claim to descend from a long line of witches- most claims are fraudulent. 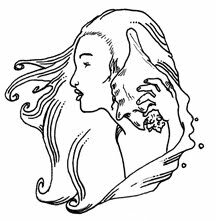 Usually hereditary traditional witches are those who picked up folk magic practices and beliefs from their family, extended family, insular community and cultural upbringing and continue the same or similar practices in their own homes as a matter of familial or cultural identity. This is not uncommon and most who come from families like this do not often consider it inherently witchcraft (myself included). Now, America may not have a specific tradition of witchcraft to define it, but that's because there are a lot of regions to this huge country and each region has its own traditions of magic and charms based on the superstition, religion and spirituality that came to settle there. No matter the difference in the folklore or charms, the legend of witchcraft is absolutely abundant, and it was so-- long before the colonizers came from Europe, long before they dragged slaves to the New World. When all three worlds met, they had at least one thing in common: the very real fear of very real witches. If you asked me if there is a traditional American witchcraft, I would say that there is- that there are traditions of witchcraft specific to American culture as it developed since colonization, usually syncretic and reflecting the influence of majority ethnicities in those regions as the American culture began the melting pot process. I’d say it is obvious from the culture of Salem and New England witch-lore and Southern and Southwestern witch-lore that there are traditions, both formal and informal, which consist of uniquely Americanized systems of magic; syncretic by nature and definition. It is forged by the environment itself as well. Christianity was the great catalyst that shaped a good deal of America's perception of magic and metaphysics; with much of our common folk charms being tied to Christianity in some fashion, like; our use of holy water, marking crosses, psalms in charms of conjury, Words of Blessing in homes, or blessed charms as was common in Catholic areas of newly settled America. To these practitioners, their actions were not witchcraft, but the work of holy spirits and god himself. To some others however, it was deeper than that, it was veneration of the ancestors and the gods of the Old World and New. It depended entirely on a hundred factors. Some customs became ingrained into families as simple superstitions while others were parts of the family fabric. I’ve been to Salem and seen what hundreds of years of witch-hysteria related mythos, storytelling and folklore has done to the culture there; creating a distinctly American tradition of magic in New England that is easily identifiable by its almost stereotypical atmosphere- but it’s a stereotype because the American idea of a “witch” descends in part from the culture of New English witch hysteria, made most infamous in Salem. I’ve also been to the South and Southeast and experienced just a bare taste of the incredibly rich Afro-diasporic roots of magical traditions down South. It’s the other large half of the American Traditional Witch identity alongside New English. Southern magic isn’t always witchcraft and it’s important to distinguish mystics and magicians from witches themselves. That being said, the South is ripe with witchery and it’s all thanks to the same blend of Old World, New World and Motherland mysticism synchronizing and being passed generationally. Take the mask of Catholicism and Christianity away from the practices and you’ll see the deep struggle of black and Indigenous roots as they fight to stay alive under oppression and assimilation. Like I’ve always said, it’s a crossroads; a four way street between clashing cultures; and when these paths met, the synthesis of spirituality was immediate. In some cases, the adoption of foreign beliefs was a survival mechanism and a method of preservation under oppression. Such as was the case with many groups of West African slaves who adopted Catholicism as a mask and even addition to their native beliefs, the product of which spawned traditions of Afro-diasporic religious expression like rootwork, conjure, Santeria, lucumi and voodoo. When speaking on the richness and foundation of American folk magic and folk religion, none was likely more instrumental than that of African spiritually. While many of us who descended from those brought over here early on often have no way of knowing where in Africa our ancestors came from during the slave trade, there were aspects of African spirituality- wide swaths of it in fact- that ingrained itself into the American spiritual identity. The culmination of (forced and voluntary) Christian conversion, exposure to Indigenous lore and African spiritual values resulted in the vast array of Afro-diasporic faiths we have now, and the entire movement of American folk religion. It is well documented, especially in the American South and the Caribbean, how much of African storytelling, agrarianism and animistic spiritual values transmitted across the seas and became conflated, identified, associated and synchronized with Ingenious stories and folklore; think on the stories of Br'er Rabbit and Anansi- both the mythical figures of the trickster rabbit and spider are prevalent in the folklore of Indigenous Americans like the Cherokee, Choctaw and Seminole, and the stories as we know it are believed to be an amalgam between certain ethnic African and Indigenous American myths which eerily resembled each other in theme and ideology. Anansi, though originally an Akan spiritual entity, to this day, is a symbol of black American rebellion and cunning and a spiritual figure in Afro-diasporic magic. Whether we descended from Cameroon, Fon, Benin, Akan or Yoruba peoples, Anansi has become a symbol of black spiritual strength. As Africans were forced to work the land alongside Indigenous people, herbal and agrarian information and folk medicine was exchanged and the tradition of Afro American root-working and herbal medicine was born from this synthesis of necessity. Coupled with the information given to, and forced upon them by their European owners who had brought to the Americas their own folklore from the Old World, new, completely all American syncretic spiritual systems emerged. These traditions of rootwork, folk medicine and healing, cunning and charming, conjury and brujeria, and just plain witchcraft took root in America at its very inception, and these are the traditions we as American witches could seek to preserve and celebrate- not because they reflect the past of the Old World, but because they reflect the way magic was born in the New World. Motherland, Old World, New World- three origins, clashing in warfare and clashing in exchange, birthed a new current of traditional magic emblematic and unique to the American experience. For those of us descended from slaves, slave owners and displaced Indigenous peoples, whose parents and grandparents and great grandparents grew up on this bloody, beautiful land, we share in this lineage. Maybe we as American witches should focus more on celebrating and reconstructing the folk charms and rituals and stories that we’ve never really lost, the ones that are part of Regional American Folk Magic, ones that express what could only be created under the circumstances from which we came. So, for an American practitioner of occult arts seeking to reconstruct and preserve the practices of their ancestors, maybe starting with rebuilding and honing traditions of magic evolved in our place of birth. We could be readily embracing what is local and familial to us rather than trying to mimic far distant traditions from far removed cultures. I’m not implying that reconstruction of Old World beliefs is at all problematic for an American; I’m saying that it isn’t the only legitimate path to traditional forms of magical practice that exists, nor is it by any means a more “pure” or better or righteous path. It’s a path for people who have invested most of their spiritual identity with one culture’s particular spiritual point of view, and that’s just fine. For some of us, however, we can’t feel comfortable ignoring facets of our ancestry that are crucial to our cultural identity. I know my faith doesn’t lead me to choose between the cultures of my ancestors and follow only the religion of that chosen ancestor; that's a path for other witches and I respect it deeply, it is just as meaningful as my own path. For those of us witches and pagans who are mixed raced and American, the option of embracing our own traditions found right here is an imperative option. Personally, I’m not a reconstructionist of an ancient pagan religion or tradition of magic- my goal lies in reconstructing the works, charms, rituals and beliefs of all my ancestors as it relates specifically to land and spirit veneration in the Americas. 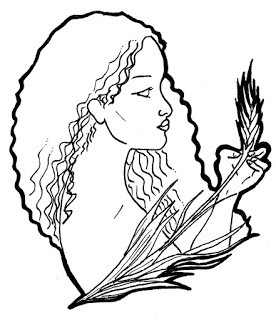 I’m mixed-raced and American, my ancestors are many and their paths are vastly different, requiring a lot of dedication and education on my part in order to understand and reconstruct the plant and spirit related practices of my West African, Western European and Indigenous American ancestors. One thing I know; I am descended from people who worked the land or lived off the rivers on all sides, and I intend to honor what they have to teach me Luckily, I have a laughably large family that extends over many countries and continents. They give me the connections I need to grow, also, working for the college system comes with a level of access to materials that comes in handy. And because my family has handed the folklore and superstitions of their own homes and cultures down to me and my siblings, I get the unique experience of seeing the magical world from a dozen angles. I got to learn some fundamental rules of the craft; silence, ancestor veneration, service to the dead, land-veneration from birth as a matter of household and social responsibility. There were always spirits, there were always spiritualists, and there was always a path to both. If you’re going the route of reconstructing old practices for the new era rather than relying on New Age materials and contemporary craft, then start with primary source material and historical references and see how they relate to the present or what their present value may be. When it comes to sources and resources on American folk magic, witch-lore and traditional charms, the options are actually plentiful. If you check your local library, you’ll find it’s a lot easier to find historical literature on the region you live in, older books which contain some of the first written examples of oral history and folklore in the Americas. American folklore collections are actually pretty easy to find in the right library and are usually not easy to find online; they are collegiate level resources that are often compiled in the form of a contemporary ethnography in American studies and can be crucial in establishing how magical traditions transmitted across the continent. The perspectives can be a little dated, but the information can be instrumental in understanding the magical roots of the country. 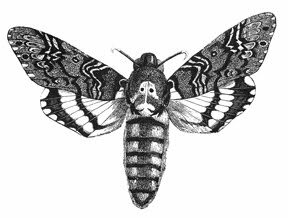 The most literature regarding magic in America will focus on the voodoo of the South and the New English witch-lore of the upper East Coast. The libraries at colleges like the one I work for have hardback book series published in the 19th and 20th centuries regarding the folklore and legends of each state and region, there are ethnographies of Indigenous tribes and small minority communities that detail how their folklore transmitted throughout the country. Try to find dissertations and compendiums compiled by graduate students, it can be invaluable because much of it is gathered first hand through interviews with actual subjects. 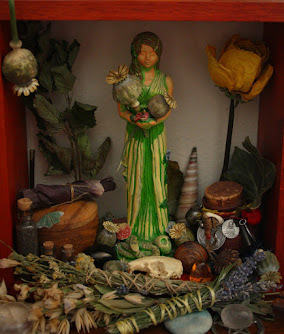 In my library you can learn about the spiritual systems of the Menominee, the wildflower folklore of the deep South and the roots of Hispanic witch-lore in Texas all in a single bookshelf. Some of the best sources you’ll ever find are in college level books, ethnographies as well as books of nursery rhymes and simple folktales. Truly, any book is valuable as long as it can back its source material. Next to that, visit every museum you can in every state possible, especially in smaller towns. I learned a lot about the spiritual history and related folklore of Rhode Island, New York, Connecticut and Massachusetts just by visiting small local museums. If you can, get an access pass to the back rooms where additional literature is often stored, or where more rare manuscripts are kept to get a glimpse at information that is otherwise harder to get. Many museums offer exhibits with old maps and letters that detail how our foremothers and fathers viewed the mystic, how they personified myths. Get some linguistic skills as well because there are some things that just don’t translate to English accurately. Call it New World witchcraft, or maybe Traditional American Witchcraft, or even American folkloric witchcraft. Argue the semantics and start a conversation about what things like tradition or witchcraft even mean, about what it means to reconstruct from old sources and what it means to be a witch in the New World. We are at a good place to begin a new conversation for the modern era with witchcraft as it reaches for its ancestral identity. Now is a good time for us to start looking back, in order to move forward. 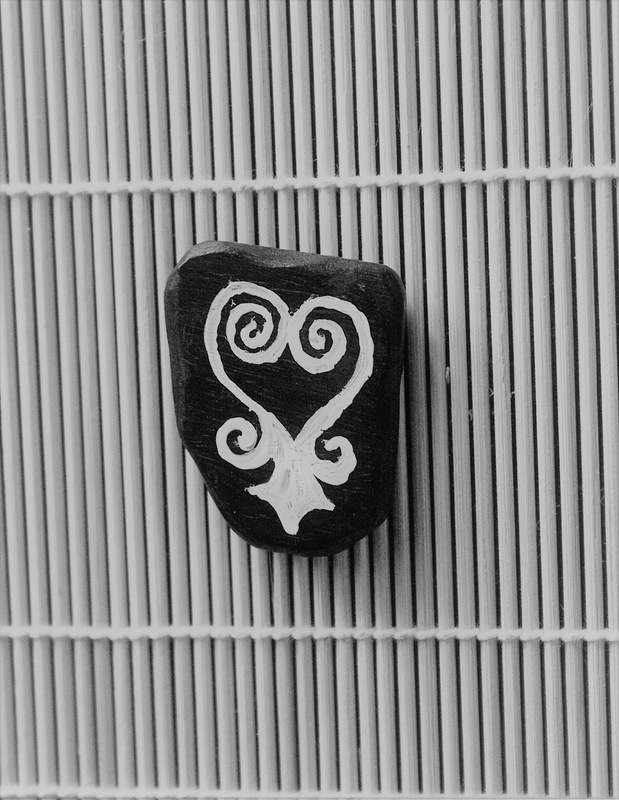 The Sankofa, which is a symbol from Ghana popularized in North American security architecture and symbolic of Afro American Diaspora has also become a magical symbol for black American witches, representing the need to go back and embrace our obscured roots. 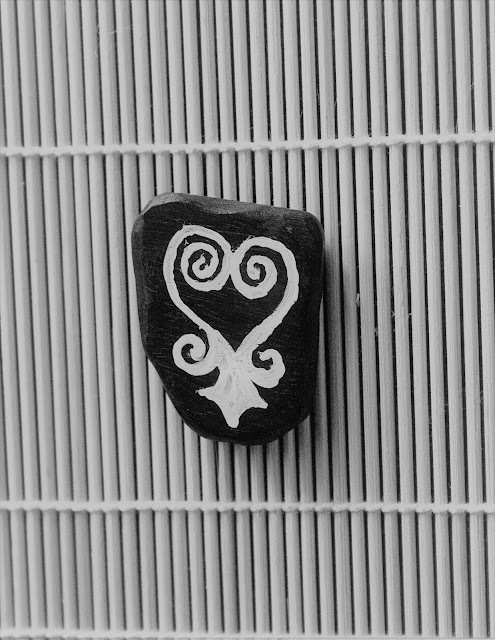 For black American witches who are disinterested in Norse runes or the Ogham, the Adinkra have become a tool of symbolism and divination accessible and meaningful to them as diasporic peoples of West African descent. Time has a way of changing the significance and meaning of things, for the best sometimes. The Realness of Witchcraft in America by A Monroe Aurand Jr. Living Liminally by Morgan Daimler- Irish American witchcraft, history and fairy lore at its very best, an absolute must. Black Femme Witches Brew: brujas, hoodoo femmes and all around interesting, magical diaspora folk. This is a lovely overview of so many great New Works folk magical practices! I appreciate the level of scholarship you're applying here, too. You might be interested in the work of Gerald Miles on Appalachian witch traditions, too, especially since he looks at some of the hybridization of practices across several cultures in that region. Additionally, I saw your Dorson selection and while it's great (Dorson was my advisor's advisor), a better one for regional and ethnic folklore and belief might be Buying the Wind (or for your readers interested in the beliefs and practices of Michigan's Upper Peninsula, his Bloodstoppers and Bearwalkers is excellent, if dated). Thank you also for the mention in the podcast section! If you haven't looked at our website,too, please do. We've got lots of sources on our posts that might interest you if you enjoy New World folk magic. Just discovered you through a friend and I am eager to read more from you! Great work! Thank you so much for the literary suggestions and for making the time to stop by here, I appreciate it deeply. I'm a big fan of the podcast and really love the educating your work is doing in the world. Thank you so much for stopping by and best wishes! Great article! I love the index of different types of magic.